The Eagles are on the march. Round eighteen gave us some sensational football with Geelong stealing the limelight. Twenty nine points down in the final quarter to a steadfast Melbourne, the Cats conjured some more Kardinia Park magic to steal a two-point win on a goal after the siren to Zach Tuohy. The Giants won a hard fought away game against a suddenly struggling Port Adelaide, setting themselves up for a top eight finish in the process. 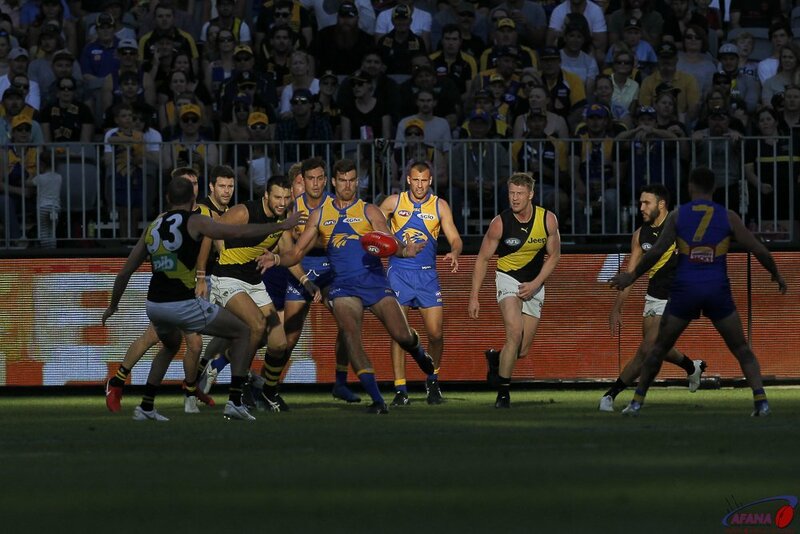 The West Coast Eagles showed steely resolve to stare down the North Melbourne Kangaroos to claim their first top eight scalp of the season. With only eight teams making the postseason, and the difficulty in making a postseason run going up with every spot down the standings, this match was crucial to both clubs. The high stakes of this game included a bonus that the winner could go as high as fifth spot on the ladder and be virtually guaranteed a finals appearance in September. The losing team would be left vulnerable to the pack of the tightly bunched teams around them and teams outside the top eight.